The new comprehensive worship planners include scripture readings, music, call to worship, prayers, a reflection and Mission Moment. to receive a notification when the worship planners are posted. Subscribe to receive notification when worship planners are posted. Family Devotions for Advent and Christmas: Celebrating the Birthday of Jesus—God’s Gift to Us! Prepared by ecumenical representatives from both The Presbyterian Church in Canada and The Christian Reformed Church of North America, the theme of the worship service is the “Five Solas,” the Reformation’s main emphases. Two children’s Sunday stories are also available, as well as reflections on each the five sola themes. 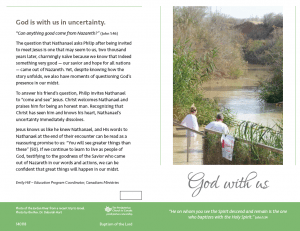 Prayer Partnerships are daily prayers highlighting prayer concerns from the ministries of The Presbyterian Church in Canada. Use this resource to join in prayer with people across the country. To submit a prayer of under 25 words, please contact the Communications Office. PCC Sunday worship bulletin covers are available for all Sundays until November 24, 2019. Special occasion bulletins are also available for baptisms, ordinations and funerals. 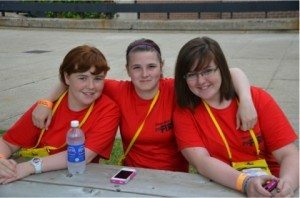 The Presbyterian Church in Canada is a denominational partner with Evangelism Connections an ecumenical group of Christians who strive to frame evangelism, hospitality and church vitality in a 21st-century context and provide shared resources. Visit their website for articles, program ideas and worship resources. 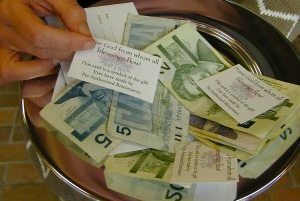 Use these stewardship quotes to get people in your congregation thinking about how they can use the gifts God has given them—time, talent, and treasure—to participate in God’s mission. Need photos or videos for projection during worship services or presentations? Photos can be downloaded for insertion into weekly bulletins and videos can linked to on church websites. Mission Moments is a new resource that combines Mission Capsules with PWS&D Bulletin Bits. Each Mission Moment highlights the mission and ministry that we are doing together in Canada and around the world through Presbyterians Sharing and Presbyterian World Service & Development. Together, we are making a difference!